The state of Ohio is the front-line of the opioid epidemic in America; both rural and metropolitan areas of the state are struggling to get the situation under control. On Sunday, Ohio Attorney General Mike DeWine appeared on CBS “60 Minutes” and CBS This Morning, stating that heroin use is “the worst epidemic” he has seen throughout his career and it’s impacting “every part of Ohio,” Journal News reports. 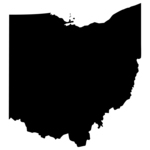 The “60 Minutes” segment is titled “Heroin in the Heartland,” an in depth look at the heroin crisis in Ohio. On the morning show, DeWine called heroin “a scary drug” that has law enforcement scrambling to find solutions. DeWine pointed out that 750 million prescription opioids were prescribed last year in Ohio, according to the article. He said that 75 percent of those addicted to heroin became addicted to prescription opioids first. On average, 23 people lose their lives every week from opioid overdoses, and estimate that is probably low, says DeWine. On top of the death toll, the burden of the epidemic is falling on taxpayers due to the strain on medical facilities and public safety departments, according to Middletown City Manager Doug Adkins of Butler County, Ohio. Martin Schneider, an administrator for the Butler County Coroner’s Office said that in the first half of 2015 there were 85 heroin-related deaths, up from 56 during the same time last year, Schneider points out that if the current trend continues there would be 170 heroin related deaths this year, a 65 percent increase.